One of the first things many experienced photographers do after purchasing a new DSLR is replaced the strap that was shipped with the camera. While these straps are functional, they are rarely comfortable and in many cases, the camera is not held in a position to make accessing the camera quick and easy. On top of that, some of these inexpensive straps that come with camera bodies do not hold the camera securely. Imagine your new $5,000 DSLR becoming detached from the strap and hitting the ground! Fortunately there a number of manufacturers offering excellent replacement straps that are both comfortable and allow instant access to the camera, while holding it securely. These straps are generally broken into four categories, which are hand straps, wrist straps, over the shoulder straps and traditional neck straps. Let’s take a look at the best of these after market DSLR camera straps and see why anyone with a DSLR should upgrade their camera strap. The first of the straps is made by Blackrapid, who is one of the leading and most innovative of the aftermarket camera strap manufacturers. The nylon strap attaches to the camera’s tripod mount using a screw in the connector that provides a very strong connection between the strap and the camera. The strap attaches to the photographer’s wrist, with the photographer holding the camera by the grip. If the photographer loses their grip on the camera and drops it, the strap catches it. This strap is also effective in preventing the camera from being stolen, as well as it is securely attached to the photographer. As the photographer holds the camera continuously with the strap, the camera is readily available and ready to capture the shot by simply raising the camera to their eye. At a suggested retail price of $39.95, the 2.12-ounce strap is very popular. Why Is It So Good Allows the photographer to maintain their grip on the camera making taking shots quick and efficient, while still providing excellent protection for drops and attempted theft. Check out the latest prices here. * Information from the BlackRapid website, including pricing. Another very popular type of DSLR camera strap is the hand strap, with the Case Logic DHS-101 Quick Grip being one of the best on the market. What makes this strap unique is that the photographer carries the camera using the grip in their right hand with the padded strap running over the top of their hand, which provides security when carrying the camera and helps reduce fatigue from gripping the camera for extended periods of time. Photographers like it because the camera is ready for instant use. Made of 100% nylon, the Case Logic strap is light weight at 11.2 ounces and measures 2.0” x 5.5”. The strap is attached to the camera to the tripod mount of the bottom of the camera and is very secure. Best yet it is very comfortable with no pressure on the top of the hand when adjusted properly. With a suggested retail price of $8.99, it is easy to see why the Case Logic DHS-101 Quick Grip is so popular! Why Is It So Good Very Comfortable; Camera Is Ready For Instant Use. Secure connection; Very Affordable. * Information from the Case Logic website, including pricing. One of the best of straps out there is the 4V Design Large Classic neck strap. Made in Italy using Italian leather this strap is both comfortable and very well made with the product oozing quality. Available in black, dark tan and light tan the strap mounts to the camera’s traditional camera strap attachment points. Comfort is achieved by padding in the strap at the neck, which measures 20mm, and no exposed sticking to rub against the bare skin. Since the strap is adjustable in length from 100-115cm, the user could easily carry their DSLR over the shoulder as well. While wrist and hand straps allow the photographer to bring the camera to their eye quicker, the quality of this product makes it very popular as does the “classic” look of the strap, which will more than likely last longer than your DSLR body. Surprisingly this strap has a suggested retail price of only $49.95, which is unheard of for a top quality European leather product. Check out the latest prices here! * Information from 4V Design website, including pricing. * Information from Miggo’s website, including pricing. The final DSLR strap is another BlackRapid product, which is the Cross Shot Breath, which is a shoulder strap that carries the camera at waist level on the opposite side of the shoulder the strap is worn on. Like other BlackRapid products, this strap, which features 100% polypropylene construction, attaches to the camera with a screw on the mount that attaches to the camera’s tripod mount. Measuring 3.5cm wide and 160cm long the BlackRapid Cross Shot Breathe is lightweight at 6.21 ounces and has a suggested retail price of $51.95. Unlike most straps that are black, this strap is orange in color! Why Is It So Good Holds DSLR cameras at the photographer’s side leaving the photographer’s hands free, yet offers quick access to the camera. In addition comfortable even with large and heavy lenses attached to the camera. * Information from BlackRapid’s website, including pricing. While very likely the simplest component of any DSLR camera kit, the importance of the camera strap cannot be underestimated. Although the straps that come with most cameras are functional, they are often uncomfortable to wear for extended periods of time and leave a lot to be desired as far as providing quick access to the camera and are not very secure in many cases. Most experienced photographers will elect to upgrade their strap to one of the numerous wrists, hand, over the shoulder and neck straps on the market today to enhance their comfort, camera accessibility, and camera security. Best yet, these aftermarket straps are extremely affordable and are a great value! 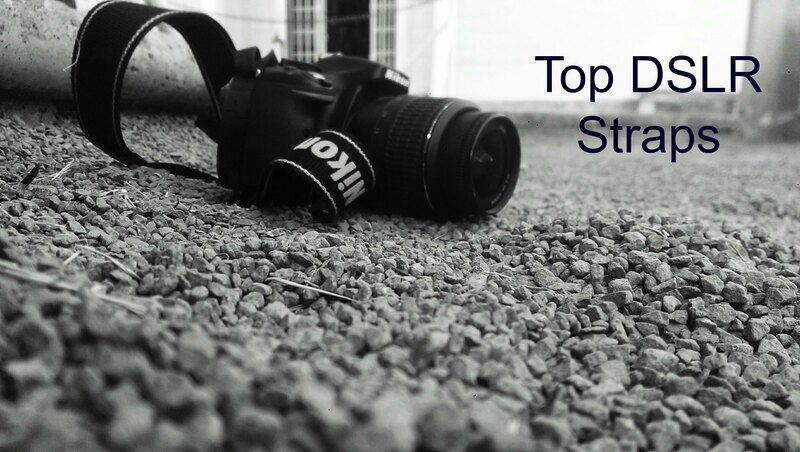 Top DSLR Stabilizers That Everyone Will Love! The Sony a6500 Vs. the Sony a7ii: Battle of the Popular Pics!